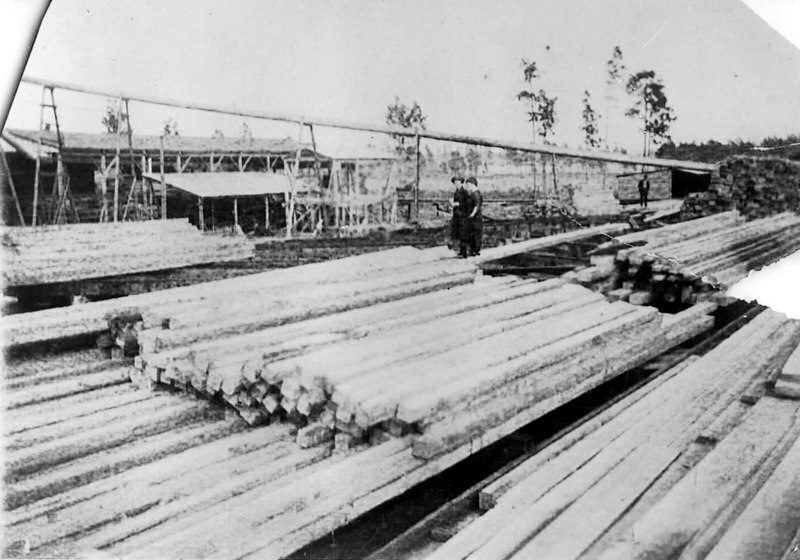 Berrien Lumber Company, also known as Ruby Sawmill, operated by Drew Fuller from about 1918 to 1925. It was located in the community of Ruby three miles west of Nashville off the Adel Highway. It was one of the most modern sawmills of the time. Shown are stacks of boards and the pipe that carried bark removed from timber.